Can I make my own DIY home theater? On July 15, 2017 / Blog, Home Theater, Uncategorized / Comments Off on Can I make my own DIY home theater? The short answer is yes, you can build your own DIY home theater! But it isn’t a small undertaking. You need to plan, plan and plan some more. And then it’s going to take some hard work. Because it’s such a complex undertaking, we’ve come up with this list of hints and tips. And at the end, we’ve summed everything up with a little advice. Read on to find out everything you need to know about putting together your own DIY home theater! Planning your home theater is the most important step. It’s the step you should spend the longest on. So our first piece of advice is that you should never, ever skimp on the planning (either when putting together your DIY home theater, or doing any home improvements). The first decision you’ll have to make is where to have your home theater. Next, you have to figure out where the wiring will run. Then you have to plan exactly what equipment you’re going to want, and where it’s going to go. 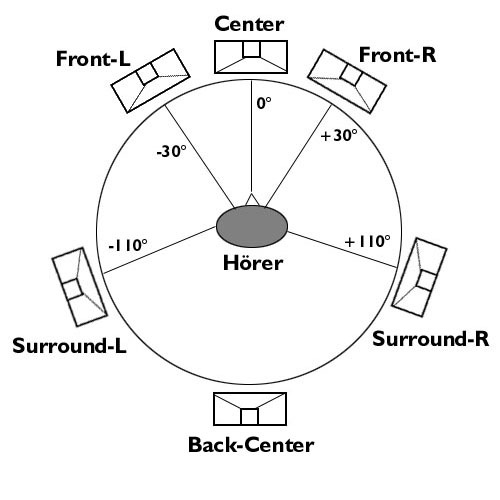 That all sounds very simple, but it’s anything but; there are so many choices these days for surround sound systems, and of course furniture and style. The sheer magnitude of planning you’ll have to do is why most people go with a professional. As electrical engineers, we spend a lot of time and money installing home theater systems, so we like to think we know what we’re doing! If you’re going to go it alone, you have to allow for the fact that it’s more difficult than it looks. Before you start actually installing your home theater, do a dress rehearsal. If you’re not sure exactly how to do that, it’s simple: set out all of the furniture, all of the equipment and all of the lighting (if possible) to see realistically what your home theater will look like. You might surprise yourself and find out that you don’t actually have enough room. Or, that you would prefer to put out the surround sound speakers somewhere else. There’s nothing wrong with changing your plans around at this stage- that’s why you should always do a dress rehearsal. In fact, it’s not just possible but probable that you’ll make adjustments to the wiring setup, the equipment and the layout of your room at this point. Just bear in mind that you might have to put aside yet more time for your project, both because of the additional planning, and potentially the additional orders you’ll have to put in. The last thing you should do is rush the installation of your home theater. If it’s a weekend project, don’t set an arbitrary limit of time- say, eight weeks- because projects overrun. Maybe you need a part that you didn’t realise you did. Or maybe you cut a cable in half by accident, and have to send off for a replacement. Accidents are always inches away from happening on jobs like these! The same applies if you’re taking time off work to work on your project. You might be tempted to work day and night to finish your work in a week’s paid holiday. But if you do that, do you really think you’re doing the best job you possibly could? And if you knew that a professional electrician was rushing through the job you were paying them to do, would you be happy? Of course you wouldn’t be happy! So apply the same rules to yourself: give yourself enough time, as long as it takes, to complete your project. If you give yourself enough time, wiring is likely to take up a large portion of it. You have two options for wiring: if you’re fully renovating the room, the best method is to hang the wiring inside the wall. That way, you’ll be left with the amazing aesthetic effect of hidden wiring! But if you’re not going that far, think about alternative methods like a cable tidy. If you hire a professional, we can completely renovate the room, install insulation to muffle the sounds escaping from the room, and hide the wiring almost completely. Like we said, it’s a bigger job than it seems! When you’re wiring, keep to the hints and tips you can find for wiring anything. Mark every single wire, so you know exactly what it is when it’s tangle with the other wires. Make sure you pick cables that are too long for the job you need them for, so you never pull them too tight. This is something you have to address during your planning stage, and if your cables are too short when you go through your dry run then you’ll have to order more. But it’s worth doing right, and doing right first time, because once you’re done with your project it’s best if it stays done! Through all the long days, and maybe long nights, remember this: it isn’t easy now, but once you’re finished, it’ll all be worth it. You’re likely to stress out by working on a large scale project like this, and there are guaranteed to be unforeseeable hitches. You might feel that you take one step forward and two steps back as you encounter roadblocks to realising your dream. But don’t give up! The good thing is that if you hit a hitch that you just can’t overcome, you can always bring in the expert. Electrical engineers pick up the pieces of abandoned projects all the time, so it’s nothing we’re uncomfortable with. All that matters in the end is that you’re happy with your home theater, so if it gets to the point where you’re dreading coming home to be confronted by your unfinished project, call in the experts. Are you thinking of having security system put in place at home, and you’re wondering what to expect from a home security alarm installation? Look no further: read our quick guide on how home security alarms are installed! 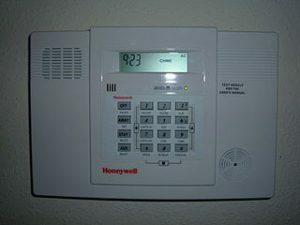 The first step of an alarm installation- or any security installation for that matter- is to assess your home. This assessment is only brief, and consists of having a little look around the inside and outside of your home. The engineer won’t poke around your laundry room- unless you want your alarm installed in there, to keep your washing safe- they’ll just look around enough to figure out how best to place and install your alarm. The point of the site assessment is to pinpoint the ideal position for your security equipment. Installing security cameras is a good example: there’s no point having a camera pointed at the wall! Through the site assessment, we make sure that that scenario could never happen: all cameras would be placed looking along hallways, for instance. The same applies to installing a home security alarm. You want to make sure that it’s close to to the main entry points of the house, where you’ll be able to quickly and easily turn it on and off, and input your pass code. The site assessment will also take into account the task of where best to install the alarm in terms of the electrics: can the alarm be installed in a particular place with a minimum of wiring having to be installed? When you have your actual alarm installed, it actually doesn’t take too long. The engineer has to do two things: install the wiring that’s going to power the alarm (or alarms), and then fit the alarm itself. The part that takes the longest is doing the wiring. This depends on your house, more than anything. Some houses, particularly older ones, have erratic and unpredictable wiring; but no matter what kind of house you live in, the engineer will try and make sure they don’t have to knock through any walls just to install your alarm. Once the engineer finishes the wiring, they’ll move on to fitting the alarm. It isn’t too complicated. It basically involves plugging the alarm in through the back of the system. Afterwards, the engineer fixes the alarm to the wall. If you want more than one alarm, installing them will obviously take twice as long. So prepare to make a cup of coffee or two for your hard working electrician! After we install your system, we have to configure it. To configure your alarm system, we have to ask you: what would you like it to do? Obviously, it’s for keeping burglars out, but we don’t mean that. What we mean is that we can configure the system to know when you’ll be leaving in the morning, when you’ll be coming home in the evening, and what days you work. That way, it can know when to expect you, and it won’t call the police when you arrive home from work. Configuring the system is something you can do yourself. But while we’re there, we may as well do it for you! It won’t take long, and all it involves is asking you a few questions about your schedule. If you’re more of a private person, we can skip this step. It’s up to you. Either way, we’ll leave a manual for you after we finish installing your alarm. You can use the manual to figure out how to program the security alarm yourself. 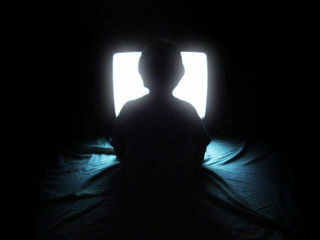 For anybody of a certain age, it will probably remind you of setting your VCR to record something after you go to bed! The last thing we’ll do before we leave is test your system for you. This, of course, is just to make sure that it works as intended, and as programmed. There’s no reason why it shouldn’t work at all; the only fault we’re likely to find at this point is that the timing instructions might be a little off- in other words, which times to expect you and which times to suspect a burglar is breaking in. The test is pretty simple. It’s a case of pretending to break in and seeing if the alarm goes off! If you would like, you can jimmy your own window and sneak in to see if the security alarm detects you as it should. If you’d rather not, we can do it for you! What are the benefits of a professional installing your alarm system? If you aren’t an electrician, you might not fully appreciate the danger of installing anything electrical. Getting things wrong could be lethal. If you do manage to install the system correctly, and you have it working, that’s not the end of the story: one improperly insulated wire could one day cause a fire. So installing an electrical appliance is definitely different to putting together your own furniture from Ikea. If things do go wrong for you- say, the alarm just won’t configure properly or the wiring is all messed up- you’ll have to call out an electrician anyway, and spend all the money you tried to save. Not to mention, all that work you put in just went down the drain! You may as well sit back and let somebody else do everything for you. The proof of a properly installed security system is in it catching burglars in the act. It’s best not to wait until your system has to prove itself- you should get it professionally installed, because there are professionals who secure people’s homes for a living. It’s wise to rely on them!